November 9, 2015 at 1:15 PM: A blue barrel has been reported rolling on Hwy 99 northbound near Hammer Lane in Stockton. CHP is en route to the scene. Use extra caution in that area. If YOU don't vote.....RACISTS and Violent Gun Lunatics WIN!! Are you 18?? 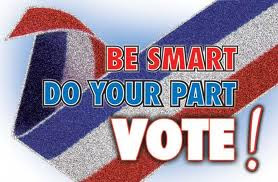 Register to vote now!! November 9, 2015 at 12:15 PM: A white pickup has reportedly overturned on Hwy 99 northbound at Morada Lane in the Lodi area. An ambulance is en route to the scene. One report says the victim is trapped inside the vehicle. Avoid the area if possible while emergency crews are working. I am writing to you because I'm afraid other papers won't like what I'm writing. November 9, 2015 at 11:40 AM: A car has left Southworth Road and gone through a fence in Burson. No injuries have been reported. CHP is en route to the scene. 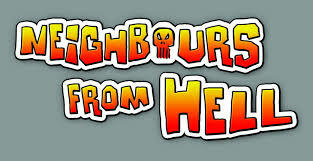 Sometimes people are slow to learn what types of "Neighbors from Hell" they actually have moved in next to, even when warned ahead of time. On Friday November 13, 2015 the old Murphys Sanitary Office on Main Street in Murphys will closed at 11 AM. The purpose is so that the phones, internet and other office facilities can be moved to the new location. For any questions, call 728-3094. The new address is 16 Ernest Street Suite A. 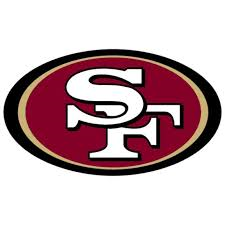 In a closely fought battle, the 49ers beat the Falcons 17-16 in yesterdays game. The Raiders lost to the Steelers 38-33 in Pittsburgh. Due to thunderstorms expected in Calaveras County this afternoon, the National Weather Service has issued Flash Flood warnings. These warnings are mostly for the Butte Fire burn area. Move to higher ground or avoid the area if possible during the time of heavy rain. According to the Calaveras County Sheriff's Office Dayne Bryson Yarborough (31) of San Andreas was arrested on Foothill Court in San Andreas on November 8, 2015. UPDATE at 9 AM: Fortunately injuries in this collision were minor, per CHP. The Calaveras Fair Board is announcing that it has received two grants to improve the fairgrounds. One is from the Calaveras Public Power Authority (CPPA) to improve lighting in the barns and parking lots. The other is a water conservation grant to replace the water closets and other bathroom fixtures. November 9, 2015 at 6:45 AM: A solo vehicle has run off Hwy 26 near Centennial Mine Road in West Point. No injuries were reported. A tow truck and CHP are en route to the scene. Slow down! The roads are slick! November 9, 2015 at 6:30 AM: Caltrans has chains required on Hwy 4 from 1 mile east of Arnold. The pass is closed at Bear Valley. Drive carefully this morning. Roads in the lower elevations are wet and more rain is expected today.